Admitted to the bar November, 2003. Member: State Bar of Michigan, Workers' Compensation Section; Oakland County Bar Association. 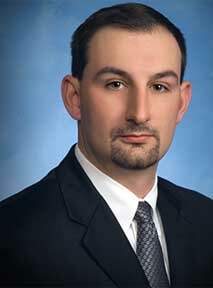 Speaking Engagements: April 2007, UDM Law School, Workers' Compensation Defense Perspective; April 2008, UDM Law School, Workers' Compensation Defense Strategies; October 2008, The Kienbaum Law Group, P.C., "The Real Comp Costs";12th Annual Upper Michigan Safety Conference, January 27, 2012, Escanaba, MI, "Recent Changes in the Michigan Workers' Compensation Law"